Make your office a place you escape to with the right décor pieces. These 17 sophisticated pieces are essentials for a home office. 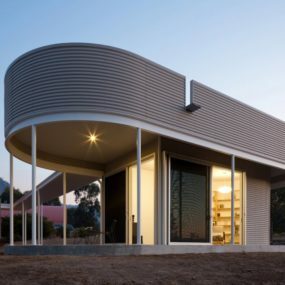 Whether you are a traditionalist or a minimalist, create an office you want to spend 40 hours a week in. You just might find yourself staying at work late with these pieces! 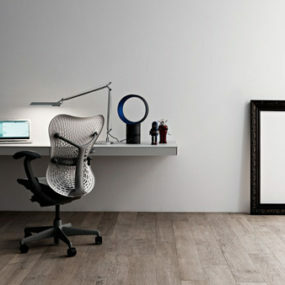 With a desk like this, it won’t be hard to spend extra time working on a project. 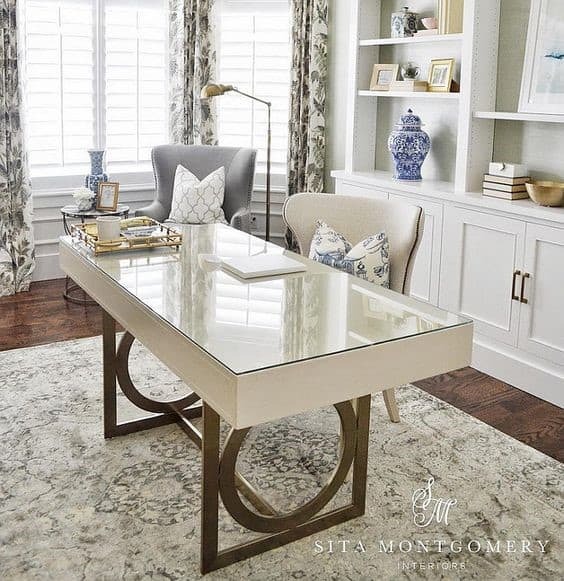 This glass top desk with metal and wood elements from Sita Montgomery Interiors is a piece an executive would have in his or her office. 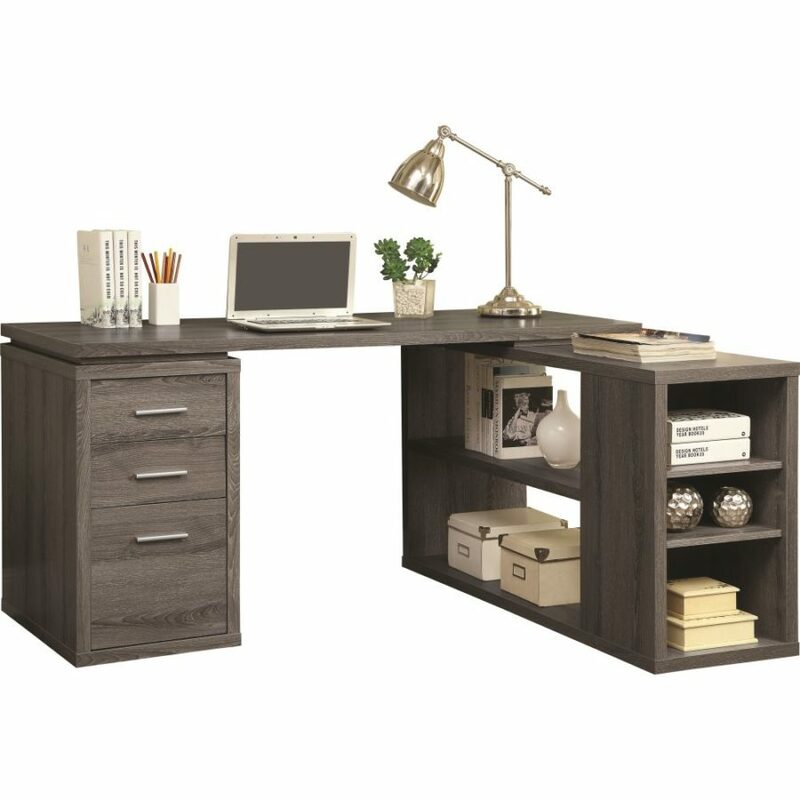 Enjoy a desk that won’t go out of style in a home office you are happy to call your own. 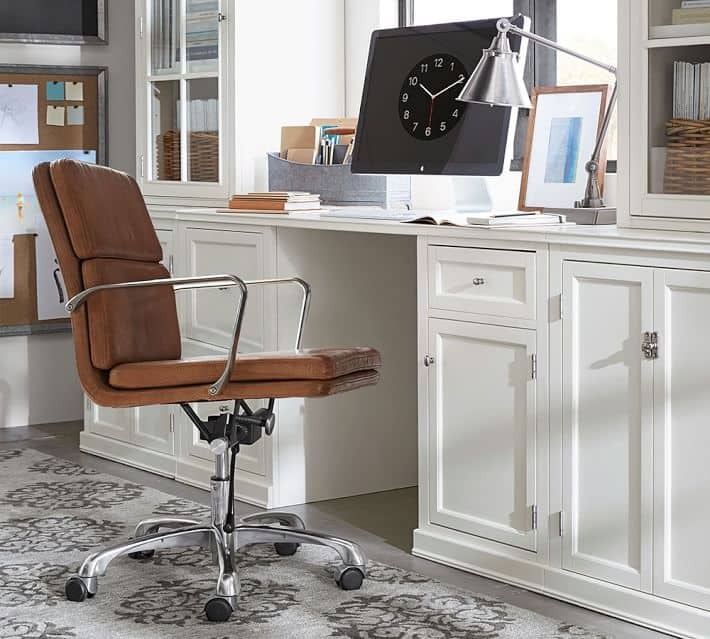 For professionals that want a little more storage space and a classic look, this computer desk available from Wayfair is a truly sophisticated piece. Anchor the style of your office with this beautiful desk which never goes out of style. Now that you have the desk, you need to work on the details of the office. 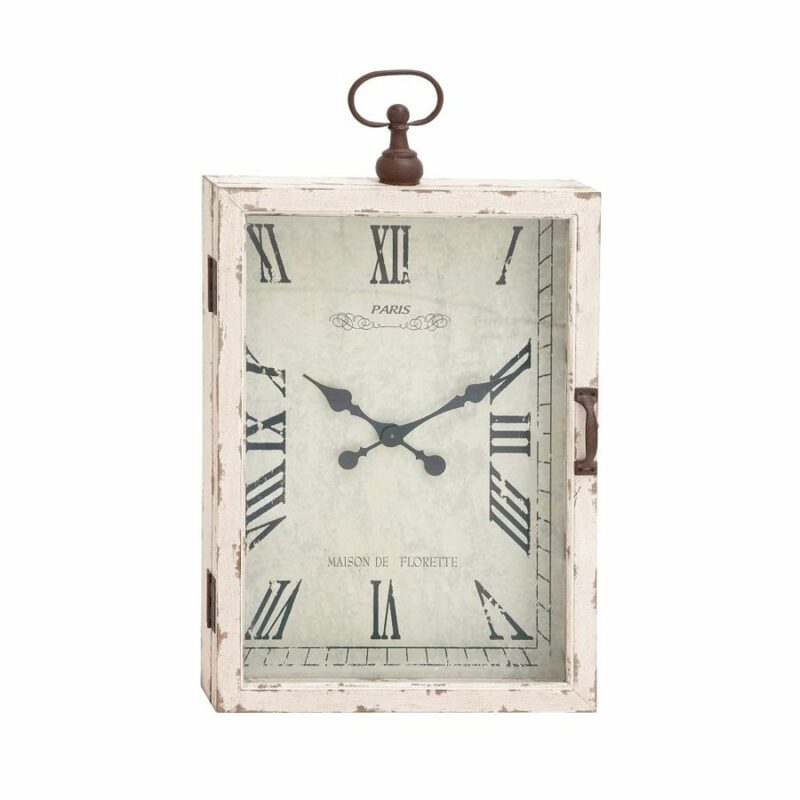 Keep track of meetings without consulting your computer clock by hanging a wall clock (like this one from Wayfair) or resting one on your shelves. At the end of a long workday, you don’t want your back or neck to be screaming in pain. With this elegant leather chair that has no frills, you’ll stay comfortable for hours on end. 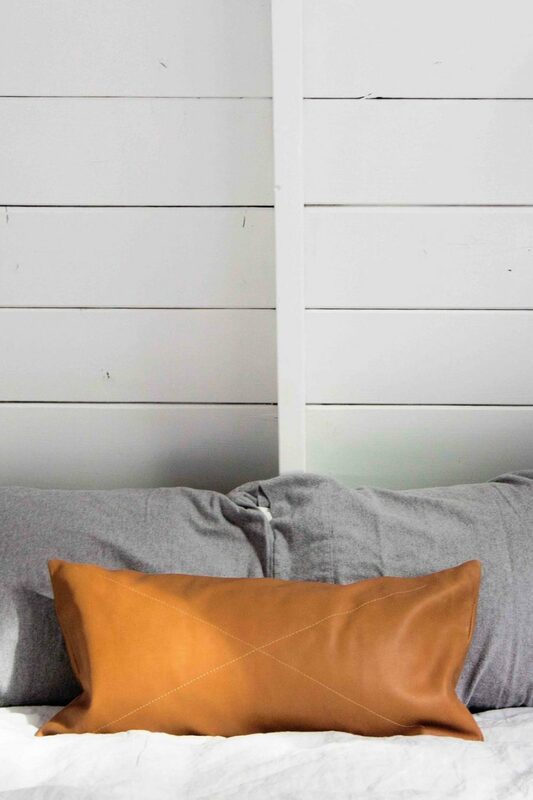 Classic leather like this Pottery Barn option never goes out of style. Bring together the leather of your desk chair with the fabric of your high-backed chairs by adding throw pillows to your desk chair as well as any additional seating you may have. 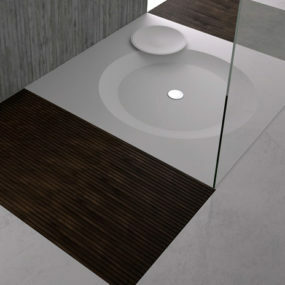 Sophistication is often found in the details. Reduce clutter and increase your storage space with a bookcase that grabs attention. 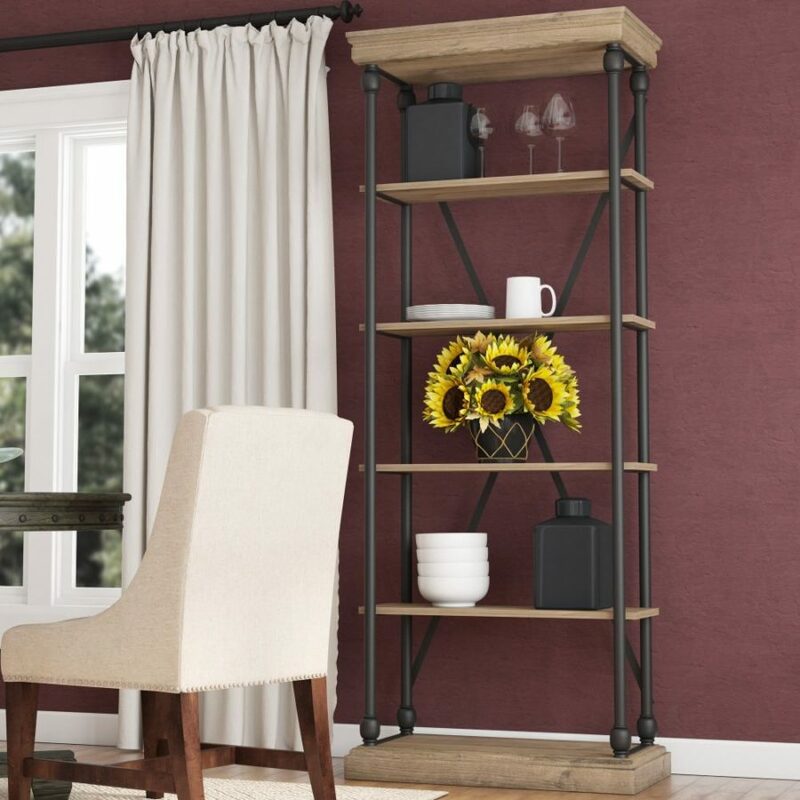 Whether you fill it with books or create an organizational system with bins, your office needs a functional solution like this shelf from Birch Lane. This bookshelf is the perfect mix of wood and metal elements. 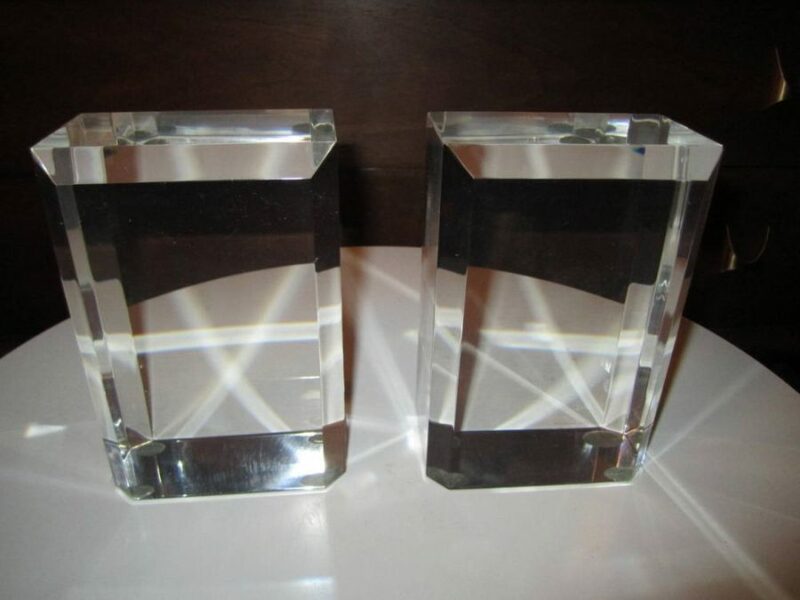 Whether you rest your new bookends on your desk or bookshelf, these lucite pieces will hold up any weight. Try these sophisticated Karl Springer bookends for both function and style. Instead of the uncomfortable chairs that many executives choose for their offices, make a switch by adding at least two high-backed chairs to your space. This style is no longer reserved for the living room. When guests visit you for important meetings, give them a place to sit that they won’t want to leave. 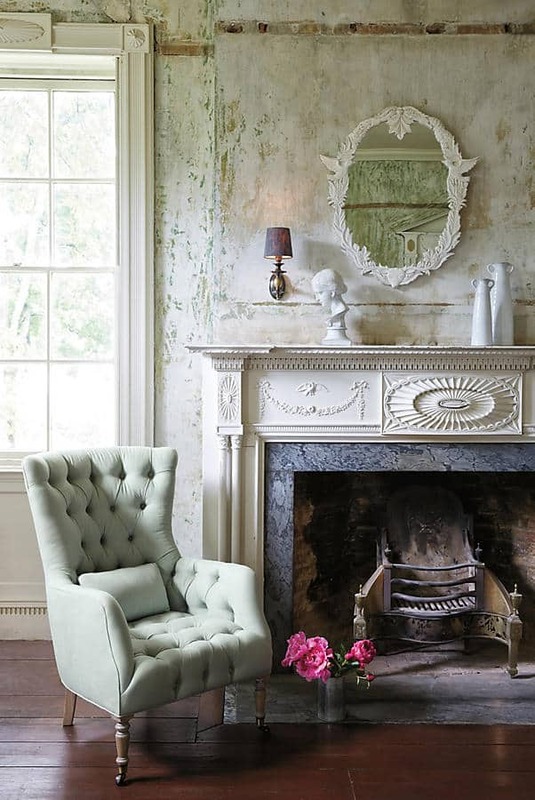 This chair from Anthropologie is available in a range of colors to match every design preference. 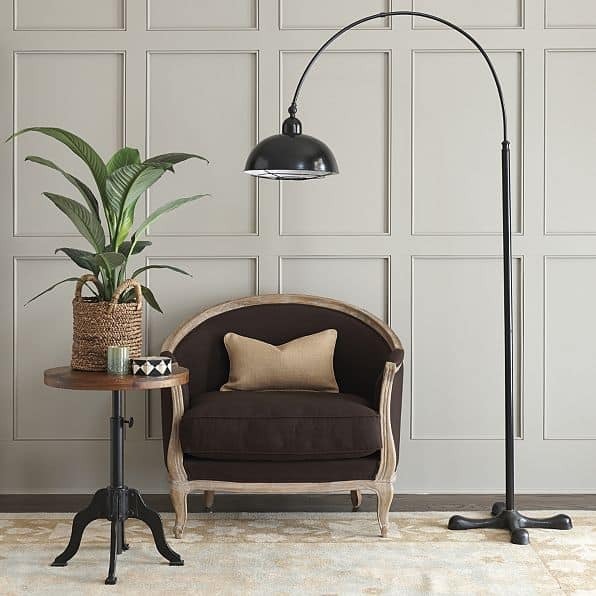 Take a break from your desk and get work done in your chair with the help of this floor lamp. The adjustable shade of this Ballard Designs lamp gives you light exactly where you need it. 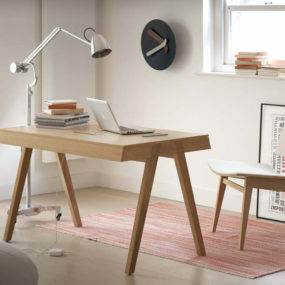 Work from your chair even longer with the help of this over arm side table. Pull it up to your chair and it gives you a sturdy surface to write on. This table from Lombok is made in Indonesia from reclaimed teak. No matter how comfortable your chair happens to be, a stylish and functional lumbar support pillow can keep your back in good shape for years to come. 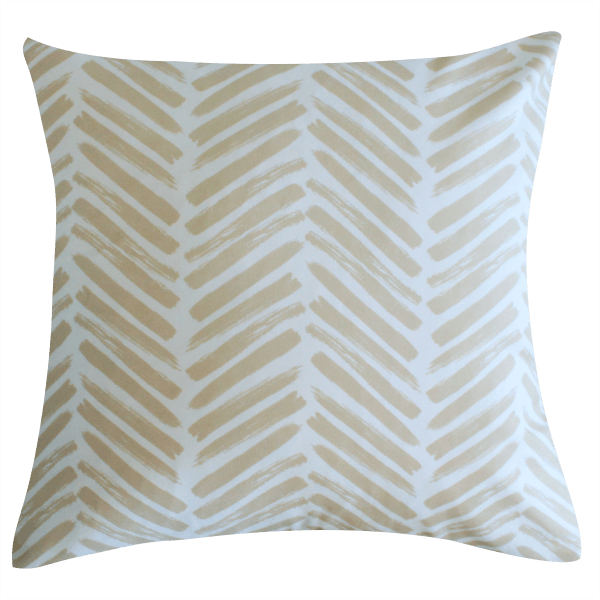 This pillow from Rose & Fitzgerald is made in Uganda by master craftsmen. 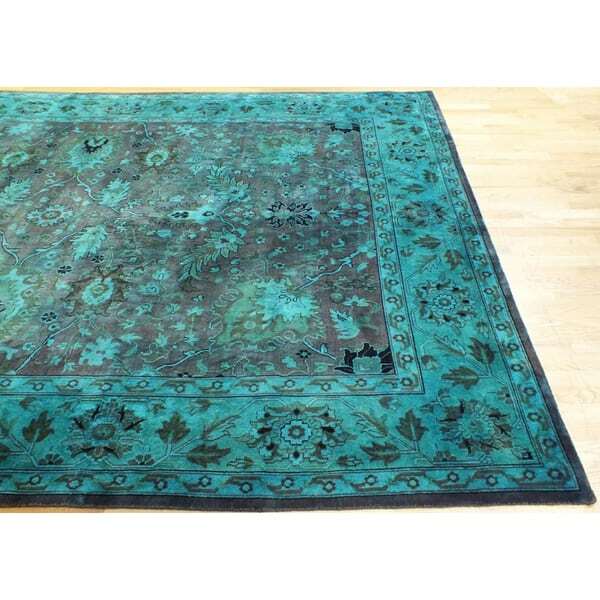 The Persian rug has undergone a significant style update with the wildly popular overdyed style. These rugs are available in vivid colors like this one from Overstock.com. 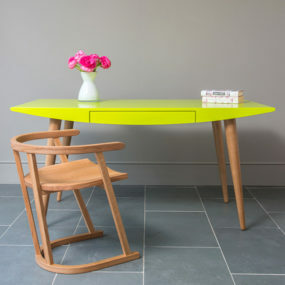 A few vivid pieces in your home office keeps your office inviting without being too stuffy. 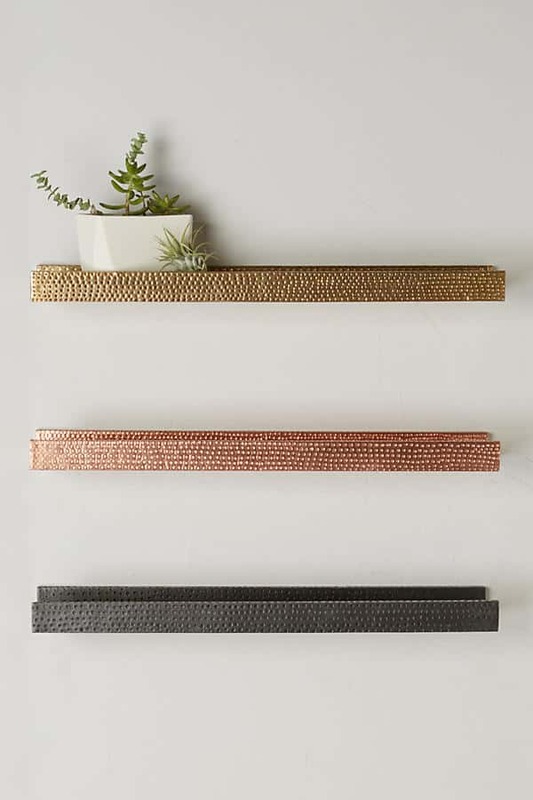 These picture ledges from Anthropologie are perfect for displaying family photos, work product, and even awards or accolades in your home office. Just because you are working from home does not mean you can’t show off your career achievements in a subtle, yet noticeable manner. Keep with the metal and wood combination of your home office with shelving for your walls. 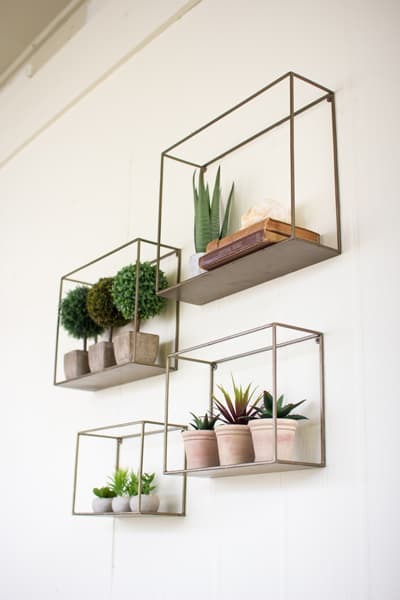 These contrast with your metal frame shelving and can actually work in place of art on the walls. 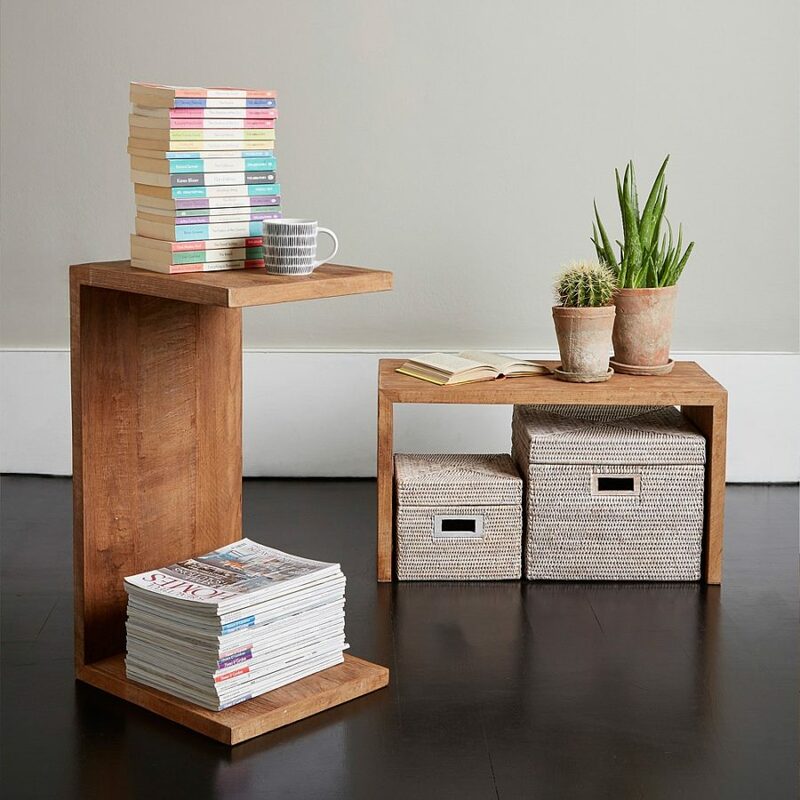 Try a set of shelves from Hudson and Vine. 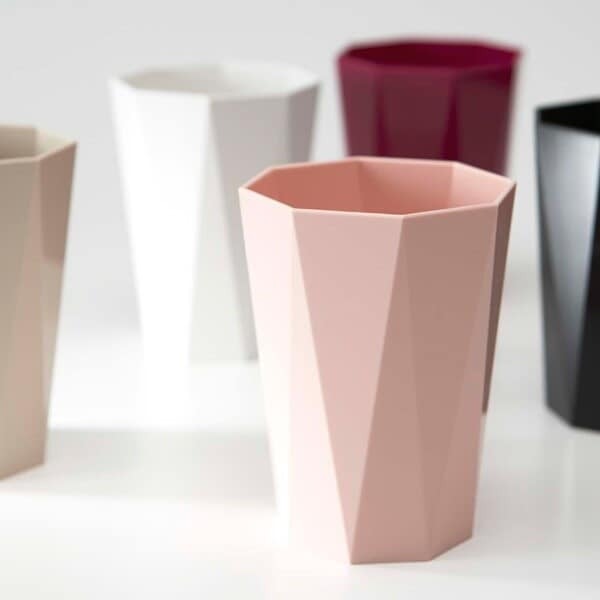 The last thing you want is a stylish office with a clunky, cheap-looking trash can. Invest in a trash can for your desk area you’ll love for years. A geometric style from Rakuten Global Market is shaped differently than your average look so it actually contributes to the feel of your home office. A task lamp on your desk not only serves a decorative purpose, it also helps your eyes on those late nights or early mornings in the office. 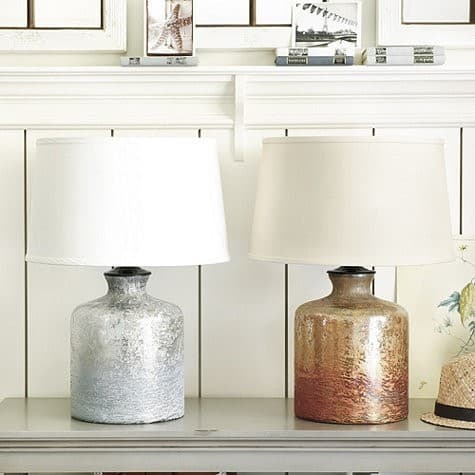 More and more professionals are selecting attention grabbing, yet classic lamps like these from Ballard Designs. 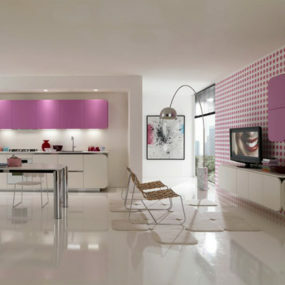 This option suits nearly every design aesthetic and complements all types of décor. One detail you should never overlook are curtains for your office. 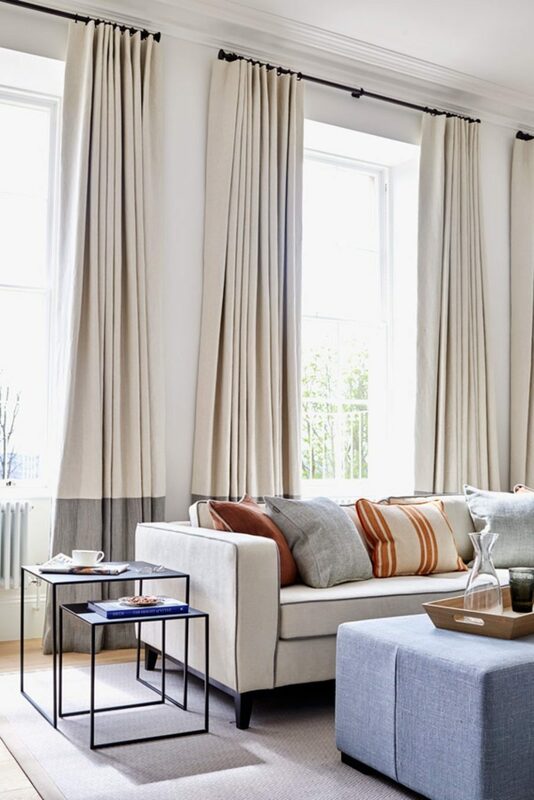 This elegant option from Dering Hall pulls together the entire look of your room. Adding finishing touches makes your office more inviting and welcoming to guests.